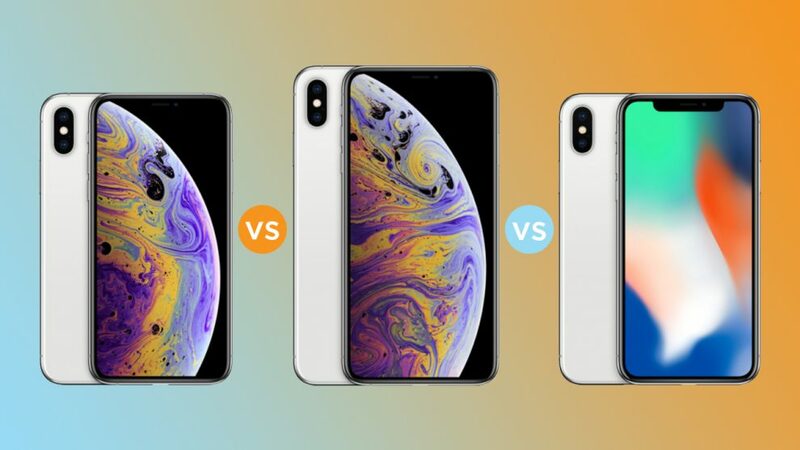 The iBulletin » iPhone » Should you upgrade your iPhone X to iPhone XS or XS Max? As soon as Apple released the new iPhones in its recent launch event, Apple fanatics wasted no time in clicking the ‘pre-order’ button. Fans already camped outside the stores a whole day before the sale started, only to collect their upgrade to their beloved iPhone. However, there are still a certain group of fans who haven’t yet decided whether to cop or drop the iPhone XS. Here, we answer the question; Should you upgrade your iPhone X to iPhone XS? For starters, the iPhone X users who thought that they’ll get something totally new should save their cash. Both iPhone X and iPhone XS are almost similar in terms of features. The significant changes include faster charging, improved Face ID performance and most importantly, dual sim. The new siblings became the first Apple products to feature Dual SIM support, which becomes a reason enough for travelers and businessmen. The iPhone XS and XS Max sport the faster A12 bionic chip, which is claimed to increase the performance by 15% and become 50% more power efficient, when compared to the iPhone X. The camera too has a small update; it now features TrueTone flash and faster apertures. However, except these two small bits, the cameras remain the same. Hence, we believe that upgrading from iPhone X to XS won’t be smart since there are only a few differences. If you’re some other version of the iPhone older than X, then it is worth the upgrade. However, an upgrade to XS Max is something totally different. We’d rather you upgrade to the biggest iPhone if you are fully determined to get an update. The iPhone XS Max offers the best ever display in an iPhone, with a resolution of 2688×1242 and 458 PPI. It will also have a better battery life than iPhone X, offering 90 minutes more usage. If you’re one who carries their world in their phones and would kill for more storage, then pull the plug for the 512GB variant. There are no ‘dramatic’ changes to the newest variants of the iPhone. However, if you are one who’s ready to spend their rolls on upgrades like processor and battery, get the iPhone XS. Our recommendation would still be the iPhone XS Max since its new features make it worth for the money spent. I am 18. I write. I love Apple.